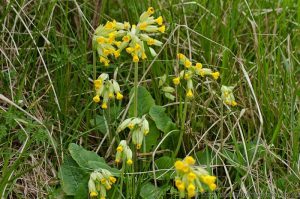 An early Spring herbaceous perennial, with yolk yellow bell shaped short stalked flowers, on stems up to 30cm high seen from April to June. 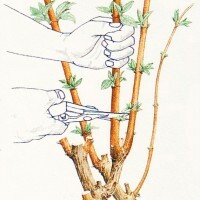 The leaves are in a Basal rosette, arranged around the base of the flower stem, long oval shaped wrinkled and hairy underneath. 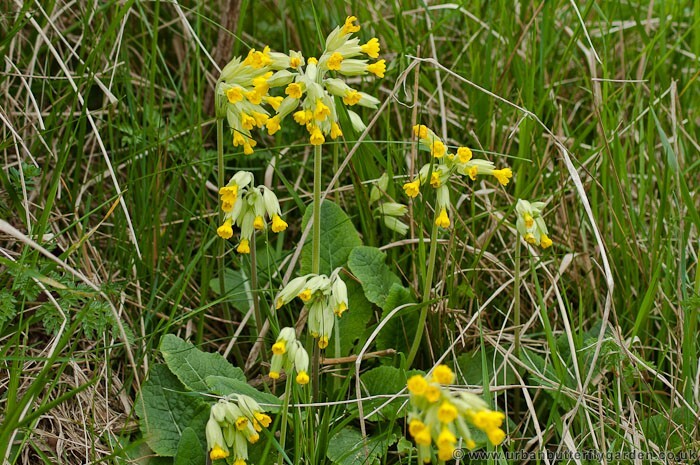 Locally common, in central and southern areas of the UK, Cowslips are often found on open unimproved calcareous grassland, other places include Roadside verges, Embankments, Gardens and tracks. 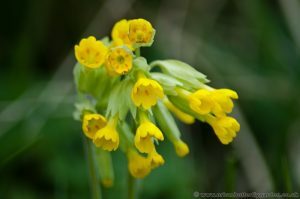 Cowslips provide a welcome nectar source for Butterflies, Bees and many other insects in early spring, it is also an essential larval food plant for the Duke of Burgundy Butterfly. 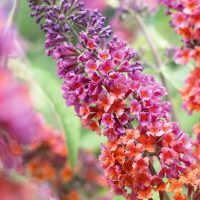 Habitat: Often found on – Meadows, Roadside verges, Embankments, Gardens and tracks.